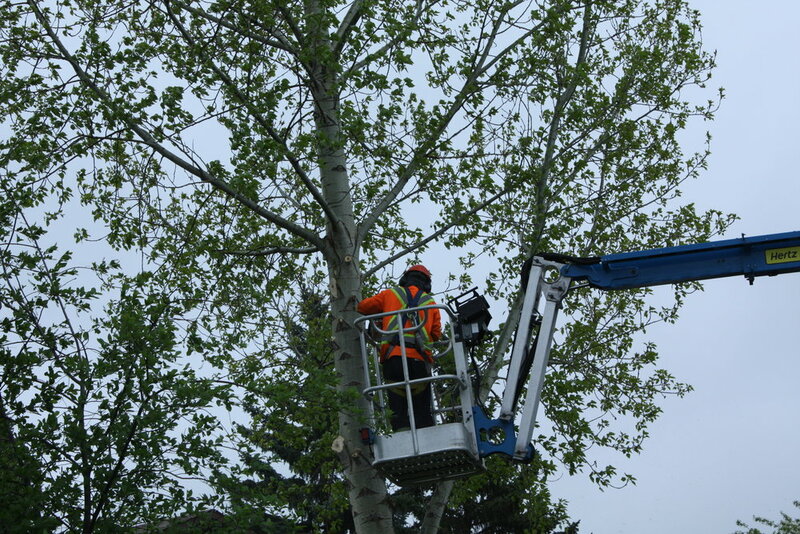 We provide limbing and pruning services with our portable lift, and can often reach areas that are inaccessible to a bucket truck. Call 780-228-3508 for a Free Estimate. View more job photos in our gallery.